Wrapping Style: Is we do a full wrap top to bottom even under the furniture with blanket + Shrink Wrap inside the property. 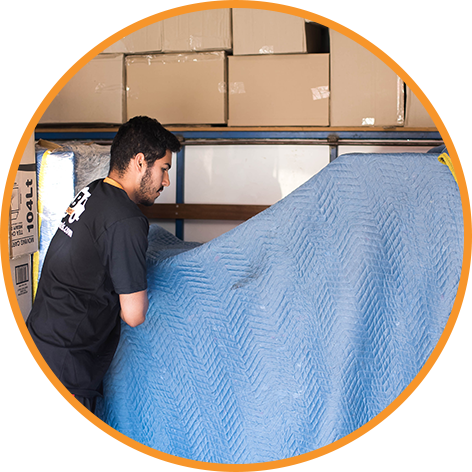 Shrink Wrap Avoids marks and minor scratches to furniture during load – transport – unload. Advantages: Site inspection prior to relocation day, dedicated project manager, as many items as you whish wrapped in Blanket + Shrink Wrap, 20 meters of Bubble Wrap on the relocation day. Wrapping Style: Is a partial wrap top and the side of the furniture inside/outside your property. We will have the option to choose 3 most loved/valuables Items to be covered with Plastic Wrapping. 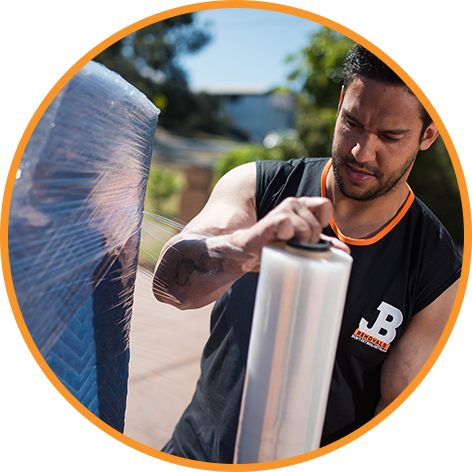 Shrink Wrap Avoids marks and minor scratches to furniture during load – transport – unload. Advantages: Complementary Shrink Wrap for 3 items. Wrapping Style: Is the fastest we simply move your furniture in our truck with no blankets then once inside our truck we throw a blanket over it. Any furniture has to have a blanket over it when it goes in our trucks. Advantages: Fastest method of relocation. LOVE THIS COMPANY!!!!! Had such a great deal with this company, they have this plastic that goes over the furniture which they have used for our white furniture since we were concerned of it getting damaged. It took a bit of extra time however NO DAMAGE!!!!! 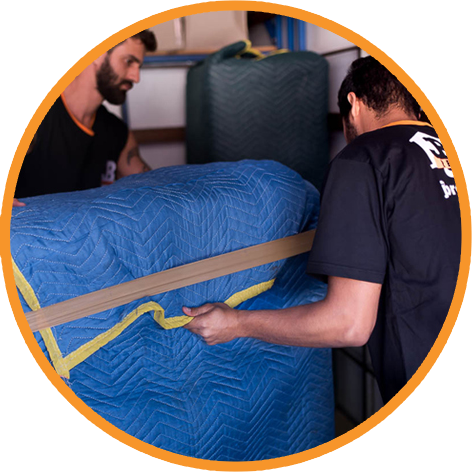 We were blown away by the service we received from this movers for our house move from Manly to the Central coast. From the first phone-call all the staff we spoke with were helpful, informative, patient with our many questions. Their quote was very competitive for a whole 65 cubic metres truck and 3 strong blokes, with immediate delivery instead of having to wait for a container to go through a logistics process. The movers treated our possessions with great care and were easy and fun to deal with. Thank you Maria and team. We moved our 4 bedrooms home last week and we were very concerned with our furniture since we have a fair bit of high quality furniture. JB consultant came over to our place and presented 3 ways of furniture wrapping, we got option "A" that’s how they call it. it took extra time to do that however we did not have a single issue with our furniture. The staff were polite and efficient. Can’t remember their names though. Big thank you to JB Team. We will use you again in the near future.